Twelve solo acoustic blues masterpieces taught on-screen with exclusive up-close multi-camera option by the original artists. Double disc sets… DVD 5’s with 2 hours of lessons and 6 hours of footage. This video manual for the guitar blues solo on 2 DVD. The school contains 12 songs of famous musicians nominated for Grammy: Mike Dowling, Al Petteway and Kenny Sultan. Includes full sheet music and guitar tablature, compiled by the artists. On the DVDs themselves are PDF files with 80 full sized pages of transcriptions with BOTH Standard notation and Tablature. 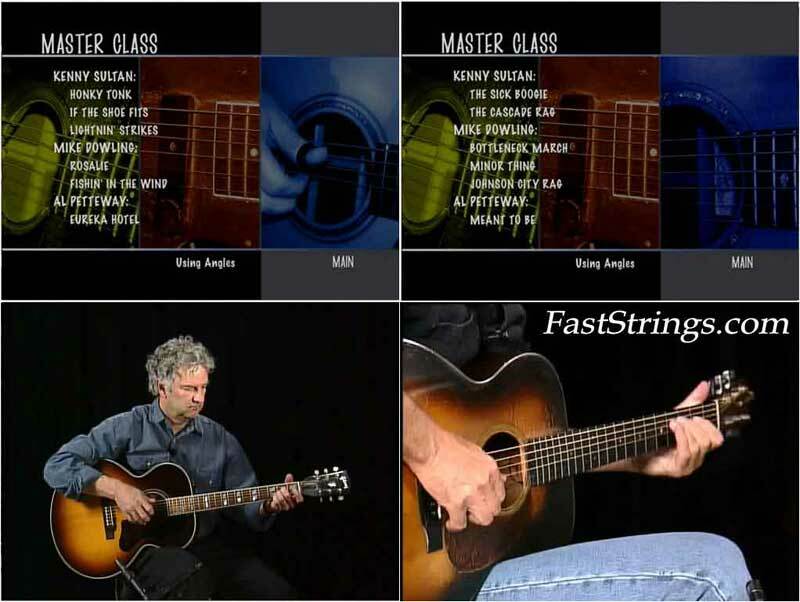 This DVD has 12 great tunes performed and taught by a variety of guitarists. The multi angle option for viewing particularly helpful and all in all this was a terrific bargain. Techniques were great, and the instruction was really good, and done well. The file size must be checked with what you have actually downloaded Tarkine! If the file size does not match the amount of data received ,then the DVD will be corrupted and unplayable. It sometimes stops short of a full download ,and you must dump these files and re-load them . If you are using Windows to download, goto the top toolbar and click on – Views – select – details -,and it will show the data amount.